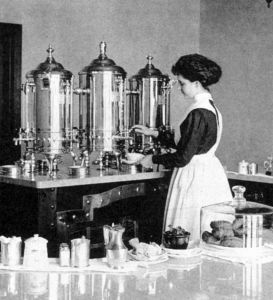 My new Western series is centered around the Harvey Girls – young women from the East and Midwest who answered an ad for waitressing on the frontier, and left home and family to follow their hearts. 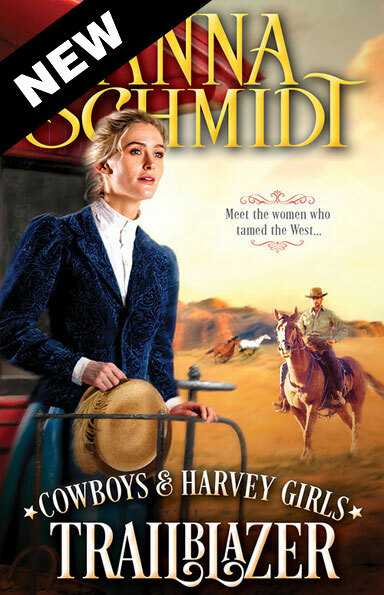 Schmidt brings the Wild West to life with her newest series Cowboys & Harvey Girls. 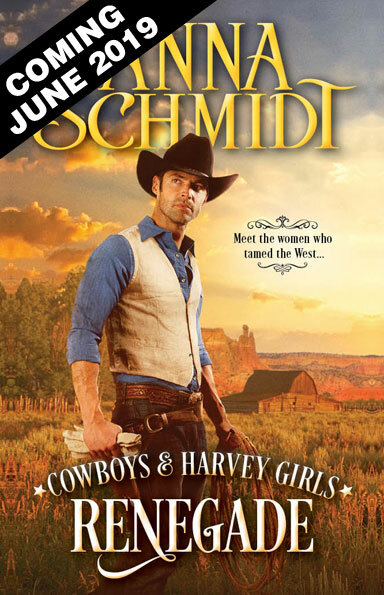 Schmidt brings the Wild West to life in her new Cowboys & Harvey Girls series. Readers will join Grace Rogers as she embarks on a great adventure, leaving her family behind in Missouri, to start a new life with the esteemed Fred Harvey Company. As a Harvey Girl, Grace is expected to be a stalwart example of respectability and innocence — certainly not the sort of woman who would get involved with a cowboy. While traveling to her new post in Juniper, New Mexico, Grace meets a charming, handsome stranger on the train who might derail her carefully laid plans. Nick Hopkins is living his dream as a foreman on a successful ranch when he and Grace meet. The two quickly become friends and maybe something more until the local high-powered attorney, Mr. Perkins, sets his sights on Grace. Will Perkins’ lust destroy the future happiness of Grace and Nick? Schmidt’s engaging historical romance will have readers asking for more. This is a perfect story for fans of Mary Connealy and Margaret Brownley. Easygoing western romance readers will cheer for this good-hearted heroine to achieve all her dreams. Anna Schmidt never fails at delivering a knock out read that simply captivates.